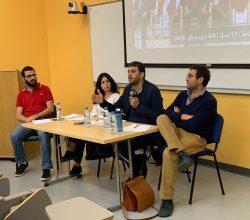 BEIRUT (Triangle News) – Triangle director, Nizar Ghanem, joined a panel discussion entitled Assessing Two Years of the “Strong Mandate” which analyzed the political, social, economic, and environmental impact of the last two years of political leadership in Lebanon. 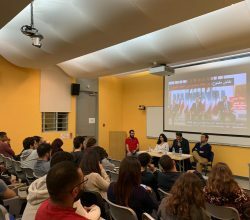 Organized by the Secular Club, the event took place at the American University of Beirut (AUB) on November 29th 2018. 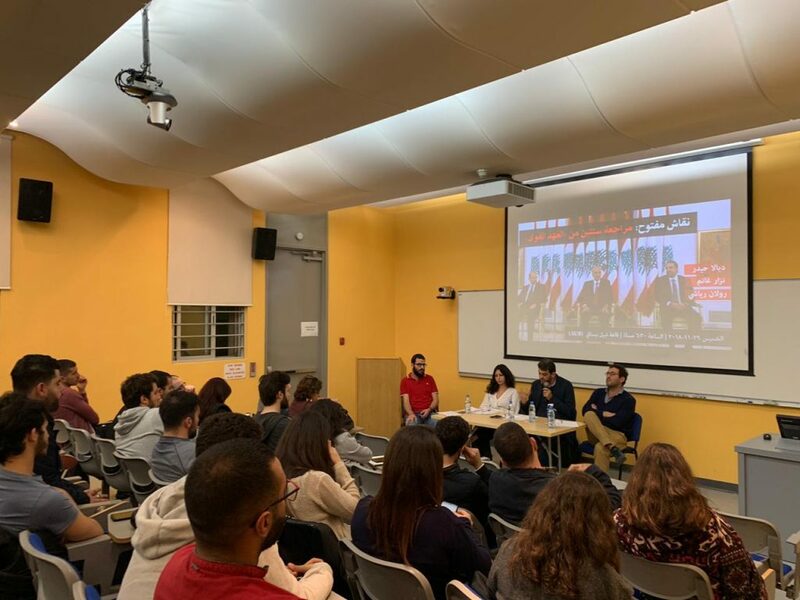 Ghanem spoke alongside political activist Diala Haidar and visiting assistant professor of political studies at AUB, Roland Riachi. Each discussed a range of concerns related to the country’s political leadership, freedom of expression, security, employment, gender equality, worker rights, refugees, real estate, taxes, and the economy. Ghanem emphasized points related to the political economy of Lebanon, dynamics of elite capture, and its effects on social and economic rights. 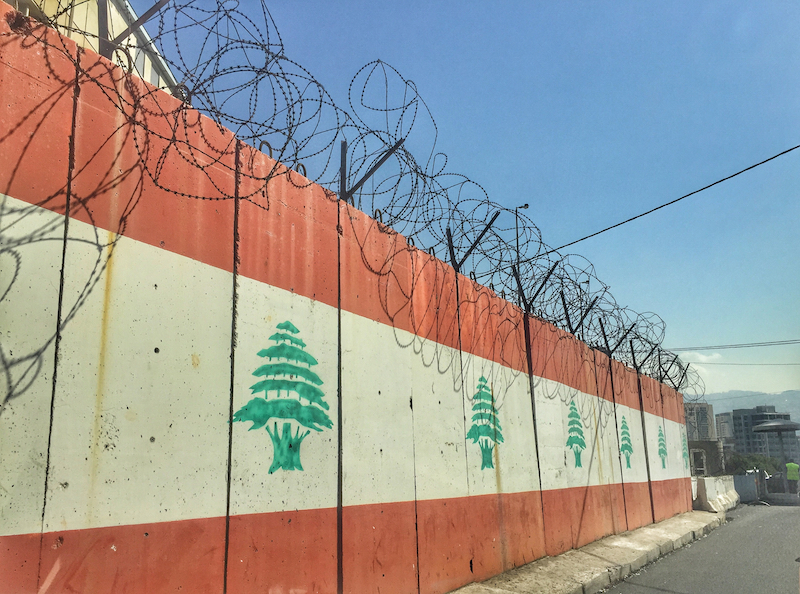 “The current Lebanese power sharing system, encourages wealthy political elites to allocate public funds and contracts to their cronies, with serious implications on inequality, corruption and embezzlement of public funds. This did not change under this current presidency.” Ghanem also discussed the regional geopolitical situation in Iraq and Syria, its impact on political polarization in Lebanon and the inability of the political class to form a cabinet. To confront these issues, he explained the need for political organization that goes beyond electoral participation and towards a stronger role for community organizing, grassroots advocacy and participation. Panelist Dr. Riachi, who is also a consultant at Triangle went further to discuss the history of neoliberal policies in Lebanon, especially with regard to water and electricity sectors. The link between the banking sector, the burgeoning housing prices, and regressive taxes, were all provided as examples of a two-decade old public policy that favors private interests over public ones. 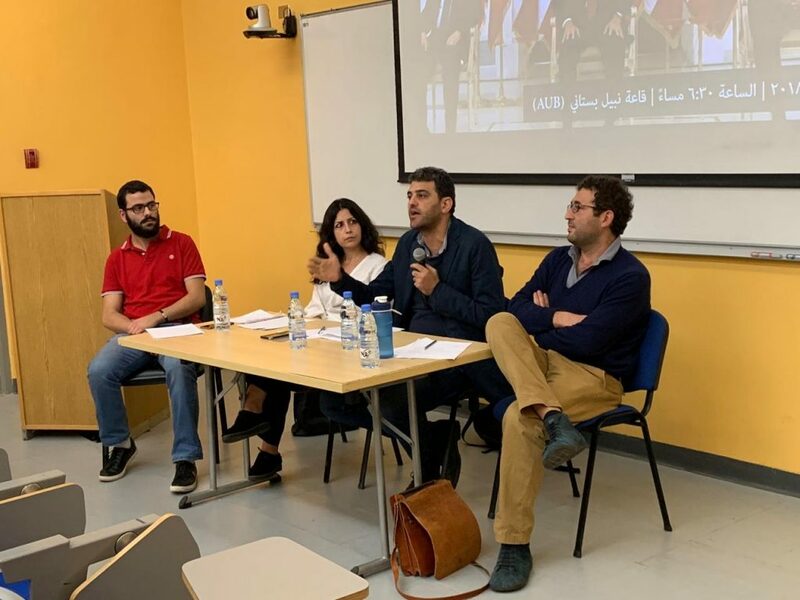 Haidar gave an overview of the human rights record under the current presidency, highlighting increasing attacks on freedom of expression by Lebanon’s Cyber Crime Bureau. Ms. Haidar also spoke about restrictions and violations of Syrian and Palestinian refugee rights during the current presidential term, such pledges that forbade Syrian students from marrying Lebanese women. At the same time, Haidar emphasized some advancements in homosexual rights citing a recent landmark court decision to guarantee queer and transgender people right to practice their fundamental rights. Following the discussion, the audience members who mostly consisted of students, joined in on the conversation with questions and comments for the panelists. “More conversations like these need to happen. The topic is a wake-up call that we need to have,” said Satia El-Alam, an AUB student in attendance.